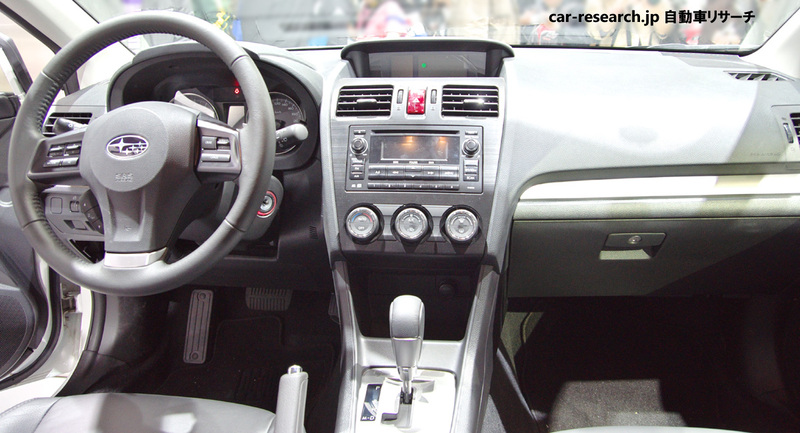 CAR RESEARCH JP – Automotive information site : New model, Fuel efficiency and Auto show report. The compact SUV based on next FIT(JAZZ) will be released in 2013 by Honda. Honda is developing the SUV vehicle of FIT derivation. 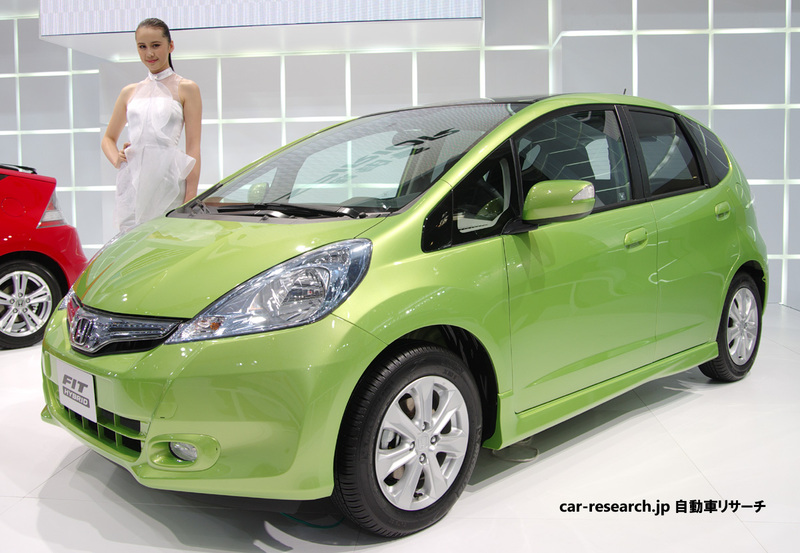 The full model change of FIT (European name JAZZ) will be scheduled for 2013 next year. 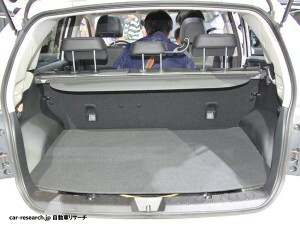 The compact SUV car which used the next FIT as the base is developed by Honda. 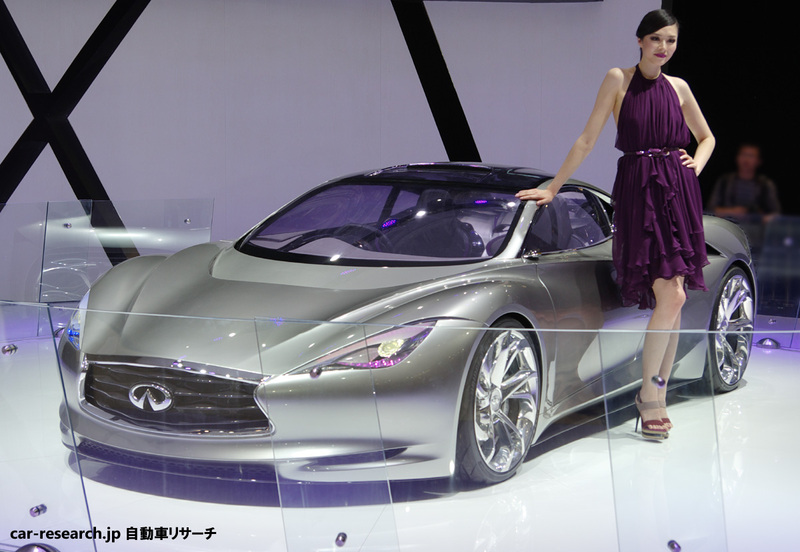 It is assumed to be released at Tokyo Motor Show in 2013. This FIT derivation SUV will be the global car produced & sold all over the world. After it is released in Japan, in Europe, China, South America, North America, the Asia emerging country, and each area, local production and sale are likely to be started around in 2014. A new style direct injection 1.5L engine or hybrid engine will be installed in the FIT derivation SUV. The prime engine of new style compact SUV will be two types. They are the new style direct injection 1.5L engine installed from the next FIT, or the hybrid system. Now, there is no hybrid car at compact SUV. This FIT derivation SUV will be the first hybrid car in the segment. As for the Europe specification, installation of the diesel engine is considered. Moreover, Honda considers installing in it the outdated engine of the present FIT which the cost cut followed, and releasing with budget prices for emerging market. As for FIT derivation SUV, a center tank layout is adopted. The merit of packaging is also expectable. In compact SUV designed in Japan, Nissan JUKE is the sole wins now. Mazda is developing SUV vehicle CX-3 of the Demio base. Furthermore, if FIT-SUV will be added, they will be fighting in confusion. 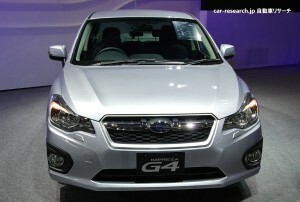 SUBARU Impreza G4 Hybrid will be released in February, 2013. Impreza G4 in which the hybrid engine will be installed. The release time of the Impreza hybrid was considered around the autumn in 2012. It will postpone and will be around February, 2013. A hybrid engine will be first installed for Impreza G4 of a sedan. Impreza Hybrid will have a FB type 1.6L turbo and a Toyota FR hybrid system. The unit which combined a FB type 1.6L Boxer Turbo and a hybrid system will be installed in Impreza G4 Hybrid. 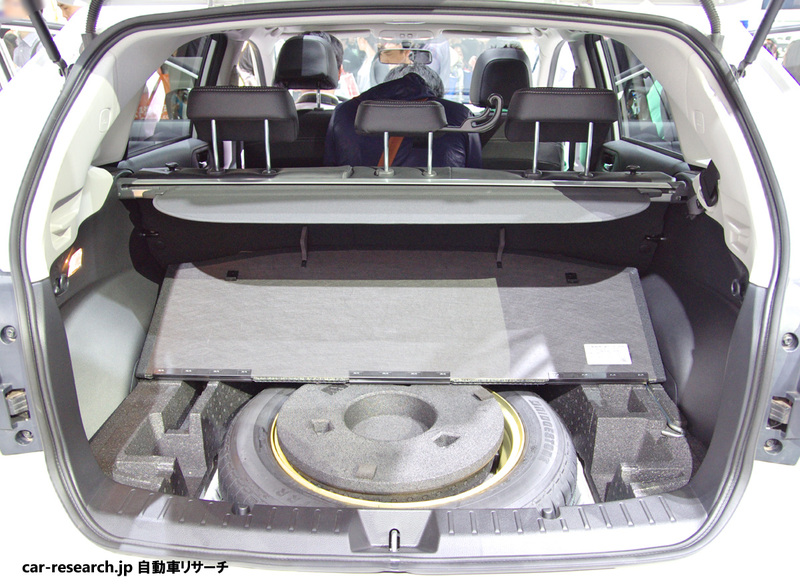 According to body size, you may think that the hybrid system of Prius is installed in Impreza Hybrid, but that is not right. Impreza has special form of flat 4 engine. Therefore, installation of the hybrid system for FF vehicles of Toyota cannot be performed. 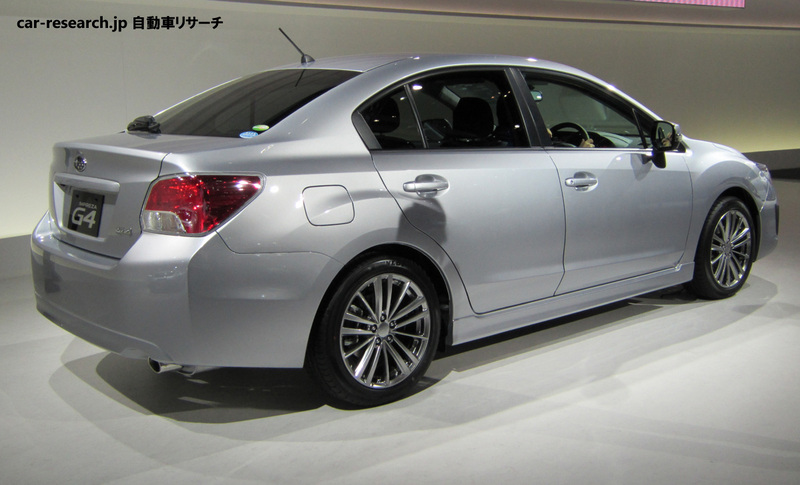 Since Impreza Hybrid will install the hybrid system for FR vehicles of Toyota, it will be a cost rise. The patent of some of THSII will time out at the end of 2012. It will be easy for the automaker in the world to release a hybrid car. The monopoly by Toyota and Honda of hybrid cars will be finished. 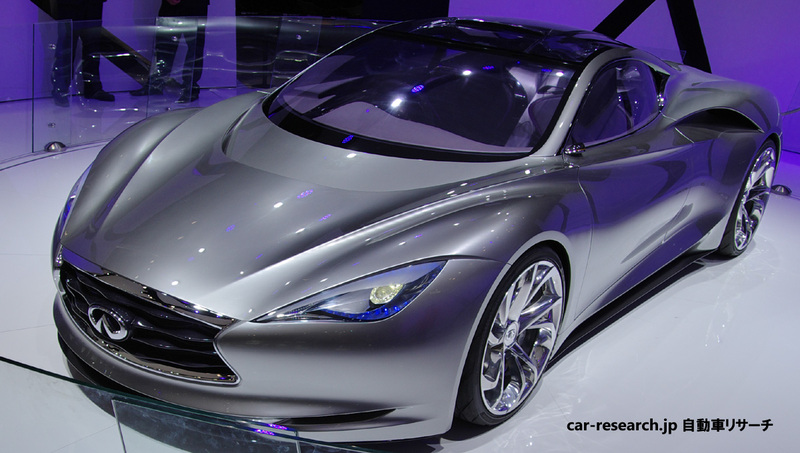 The automakers in the United States and Germany have announced many hybrid cars already. However, Subaru is a subsidiary of Toyota. Since the supply of hybrid technology was received promptly, the start of development was early. It is expected that Impreza G4 Hybrid will be a highly complete system. Next Alfa Romeo Spider will be based on MAZDA MX-5, built in Hiroshima Japan. New Alfa Romeo Spider will be based on next MX-5, made by MAZDA. Mazda announced on May 23, 2012 that we are discussing the business tie-up of 2 seater convertible production with Fiat. The target vehicle type is a convertible by which Fiat is planning sale by the Alfa Romeo brand. If a tie-up is materialized, Mazda will produce the next Spider. The development of next Alfa Romeo Spider is performed based on next MX-5 of Mazda. Probably basic structures, such as a chassis, will be similar. However, it is not a mere badge engineering. Spider and MX-5 are clearly differentiated about an engine and an exterior design. 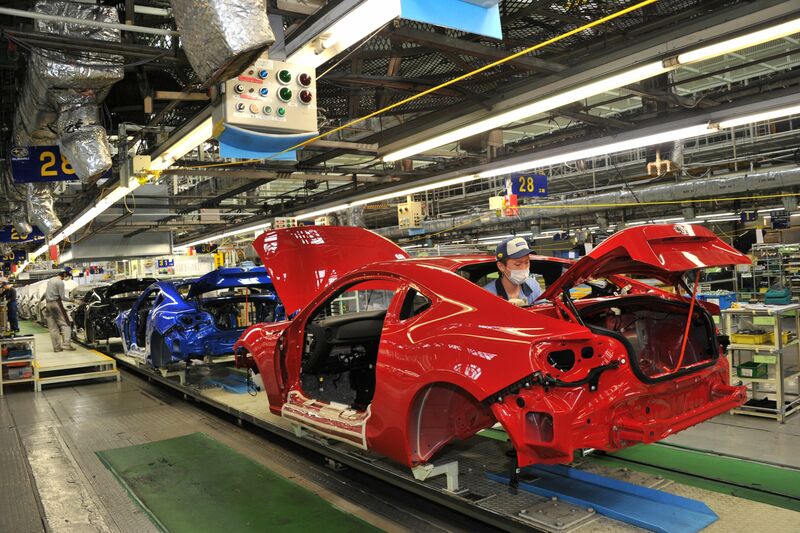 Production of the next Spider is scheduled to be started at the Hiroshima head office factory of Mazda in 2015. I expect the improvement in reliability of the Alfa Romeo vehicle. First of all, new MX-5 will be released. A photograph is current MX-5. 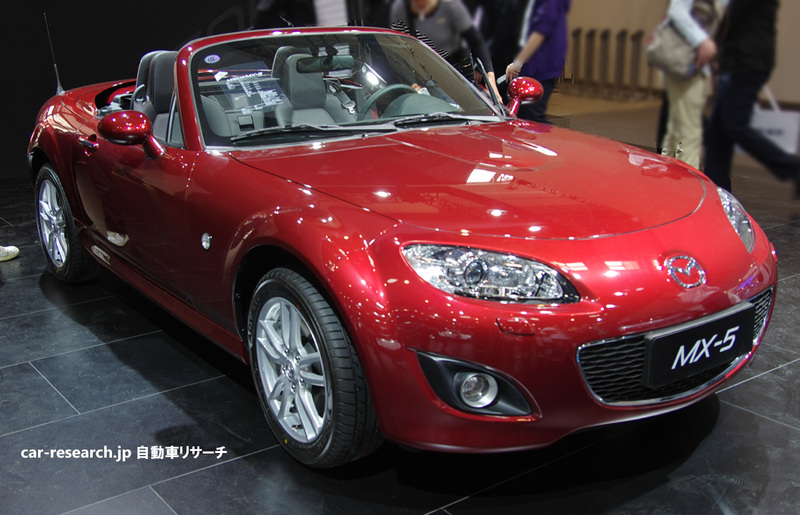 The next MX-5 used as the base of the new Spider will be released in autumn of 2013 or beginning of 2014 .We may meet NEW MX-5 at Tokyo Motor Show 2013. 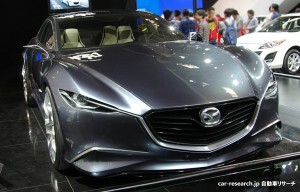 MAZDA3 Hybrid will be released in 2013. 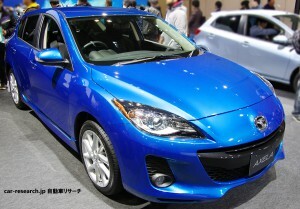 MAZDA3 Hybrid will be put on the market in the autumn of 2013. Mazda is developing MAZDA3 Hybrid by the hybrid technology which Toyota supplies. The vehicle will be released in the autumn of 2013.Moreover, the full model change is also planned simultaneously. New Mazda 3 will be a world premiere by the Frankfurt auto show in September, 2013, or Tokyo Motor Show in November. 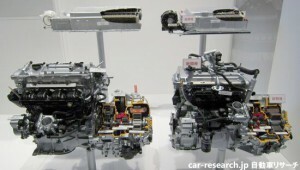 The hybrid engine installed in MAZDA3 is an original system of Mazda, although the technology of Toyota is included. SKYACTIV G of Mazda is a low fuel consumption Atkinson cycle 1.5L engine. The hybrid system by the combination of the engine and electric motor is installed in MAZDA3. MAZDA3 will be the arrangement which thought the driving performance as important. Therefore, it will be less than fuel consumption performance from the level of the Toyota hybrid car. Is new MAZDA3 in 2013 a full model change or a minor change? Since current model MAZDA3 was the debut in 2009, if it is change in 2013, it is an idea with a minor change including face change appropriate in timing. However, this may be a full model change. Mazda calls the low-fuel-consumption technology of its company SKYACTIV TECHNOLOGY, and is doing installation in the prime vehicle. SKYACTIV MAZDA3 which installed the 2.0L fuel-efficient engine of the Atkinson cycle in 2011 last year is released. However, 4-2-1 Exhaust Pipe was not installed. Since all SKYACTIV TECHNOLOGY is not installed, it means that the system is not perfect. The installation of 4-2-1 Exhaust Pipe urges to newly redevelop the whole body. The change in 2013 may be a full model change. 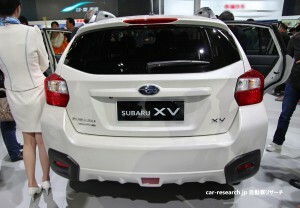 SUBARU XV will be released in the next autumn.Instrumentalpanel & trunk photos. 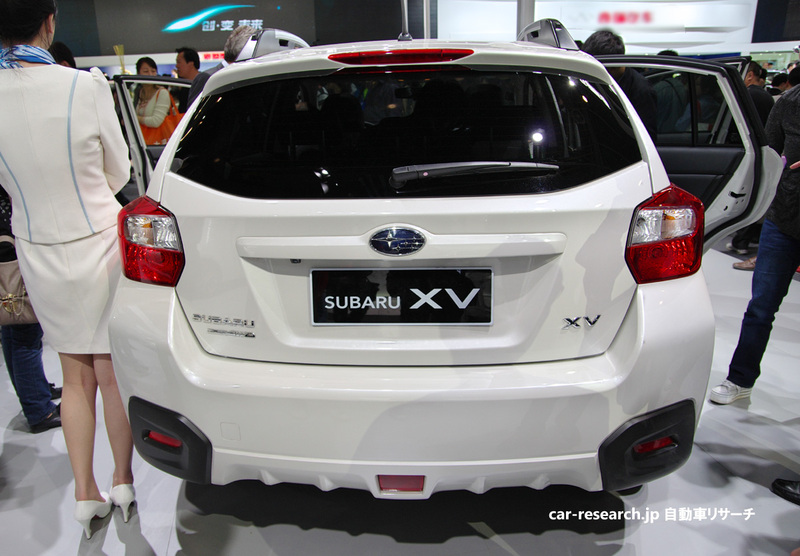 New photos of SUBARU XV in Beijing International Automobile Exhibition. We introduce the newest picture of compact crossover SUV,SUBARU XV. 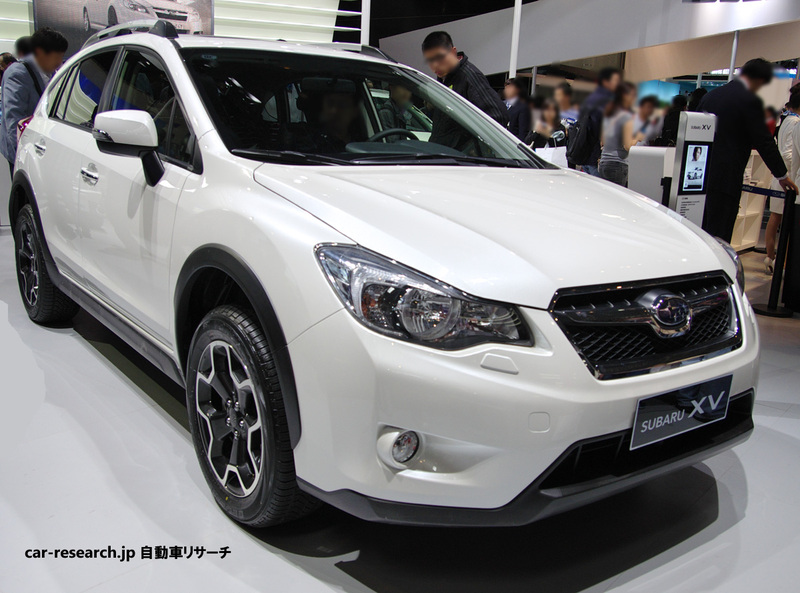 SUBARU XV of the silver-metallic color was exhibited in Tokyo Motor Show in 2011. 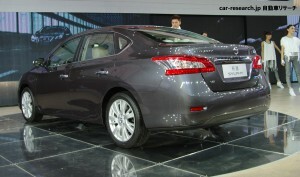 Furthermore, XV of the white pearl color was displayed in the Beijing International Automobile Exhibition in 2012. Impreza XV of the old model only had an ornament of the SUV style. However, the range of an exclusive design is expanded about XV of the next model. Minimum ground clearance is set as 225 mm. It becomes the specification which can respond to an everyday bad road. The knee space of a backseat is large. Structure of a sheet is solid and its long-distance drive also seems to be comfortable. The level as the newest C segment vehicle is cleared. It was thought that a trunk was somewhat narrow. The spare tire is installed under the trunk floor and there is no convenient storage space. SUBARU XV will be released in the 2012 autumn. There was an opinion of sale about the debut time of next XV in June. However, the opinion of the September sale of the August announcement at the present is leading. About the grade which carries Eyesight, there is still no information. New Mazda6 will be exhibited at Paris Motor Show in September, 2012. A diesel engine is installed in New Mazda6. In Mazda Booth of Tokyo Motor Show 2011, “SHINARI” and “TAKERI” were exhibited. 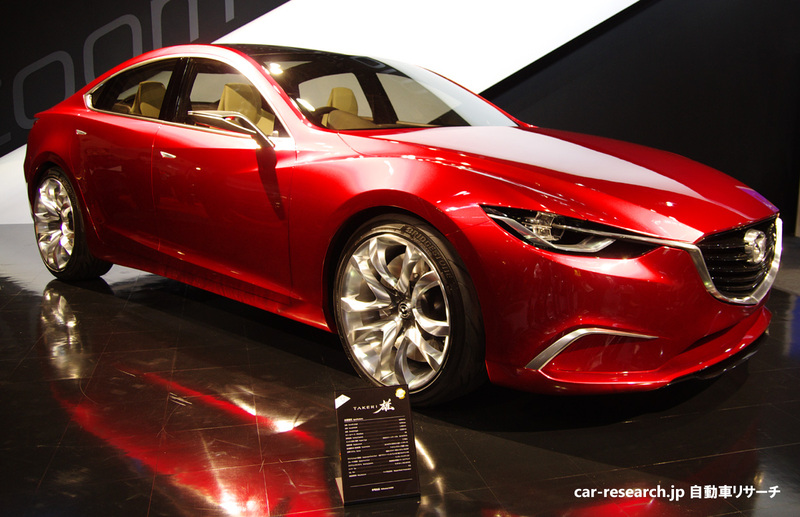 The shape of these concept models is used for next Mazda6. The production model of Mazda6 will be a world premiere in Paris Motor Show 2012. Photos are the concept model “SHINARI” which embodied the next-generation design theme “KODO (Soul of Motion)” . In next Mazda6, the diesel engine & the energy regeneration system will be installed. CX-5 of the diesel engine type released in March, 2012. It is a good sale in Mazda. The diesel engine will be installed also in next Mazda6. The 2.2L diesel engine called “SKYACTIV D” attained the compression ratio lower than the conventional general diesel engine. And it became higher combustor efficiency. It has attained the diesel engine emission control of Euro 6, without using a big-ticket emission gas post-processing system. 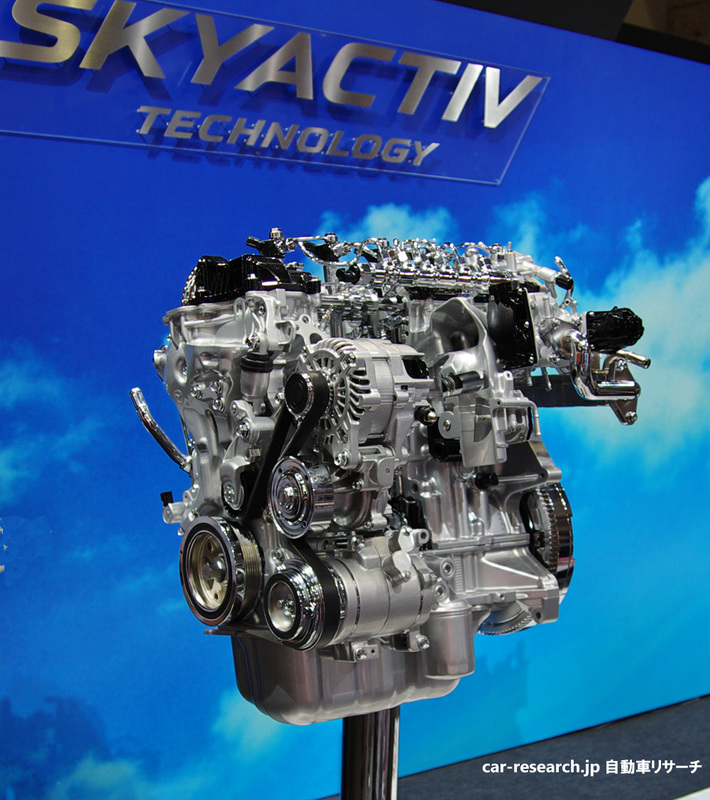 SKYACTIV D is a fuel-efficient and budget prices diesel engine. It will be installed also in next Mazda6 following CX-5. A photograph is SKYACTIV D of a diesel engine. In addition, a gasoline engine vehicle will also be released. The slowdown energy regeneration system called i-ELOOP will be installed in next Mazda6. This is the first trial in Mazda. Since next Mazda6 is not a hybrid car, it cannot change the accumulated electric power into torque using an electric motor. However, since the electric power accumulated efficiently can stop power generation of alternator at the time of acceleration and can make the engine stop time by idling stop extend, energy efficiency improves. About 10% of the improvement in fuel consumption of next Mazda6 by adopting the i-ELOOP is expected. The slowdown energy regeneration system was adopted by the hybrid car until now in many cases. From now on, variable voltage alternator and a capacitor are usually installed also in a traditional engine car, and energy efficiency will be raised. Photographs are next-generation 4 door concept car “TAKERI”. 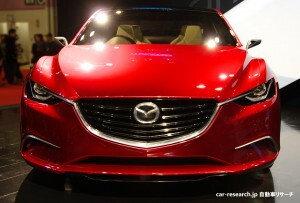 The new Mazda6 goes on sale in early 2013. Honda stopped development of the next INSIGHT. The next INSIGHT has been canceled. 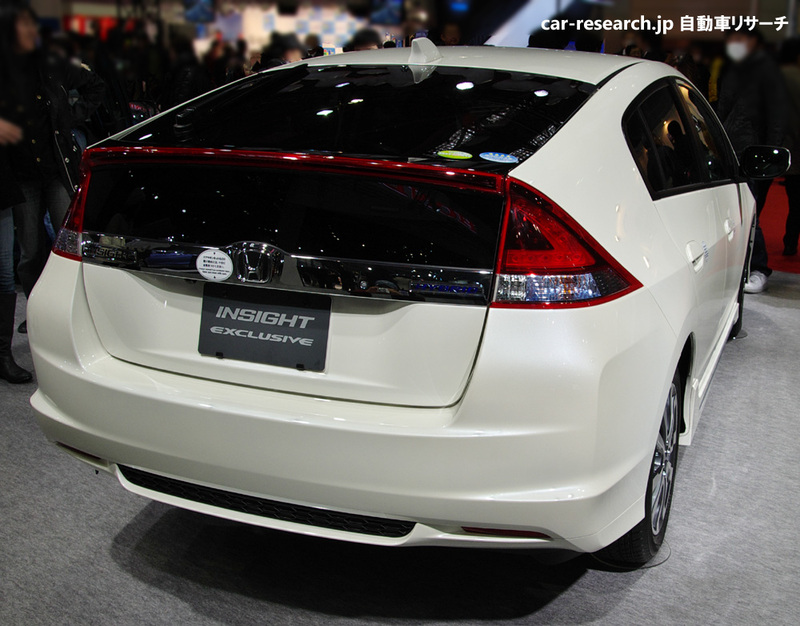 Honda suspended developing the next INSIGHT of a hybrid car. The current 2nd generation INSIGHT was released in 2009 as a model following the 1st generation in 1999-2006 . However, the volume of sales had fallen short of expectation. The minor change of the INSIGHT was carried out in 2011 last year. In order to oppose a rival’s Prius, the grade which installed the 1.5L IMA hybrid engine was added. But the situation of sluggish sales was not able to be changed. Honda judged that it was difficult to sell the next model by INSIGHT brand, and canceled development. The sale of the current INSIGHT is continued from now on. It will be uninfluential to the user who is considering the purchase of a current model INSIGHT. The next-generation IMA hybrid engine will be installed in a FIT. The next INSIGHT had been developed by the plan of the release in 2014. Installation of a new style hybrid system was included in it. DOHC and Atkison cycle are given to the 1.5L SOHC engine of the current INSIGHT EXCLUSIVE, and a compression ratio is raised even to 13.5 from 10.4. Although development of the next INSIGHT has been canceled, development of this new IMA hybrid system has been continued. The new IMA hybrid will be installed in the next model FIT HYBRID. The fuel consumption performance will be released exceeding 40 km/L by JC08 mode. EV sports car INFINITY EMERG-E in Beijing. Infiniti Emerge was exhibited in also Beijing. 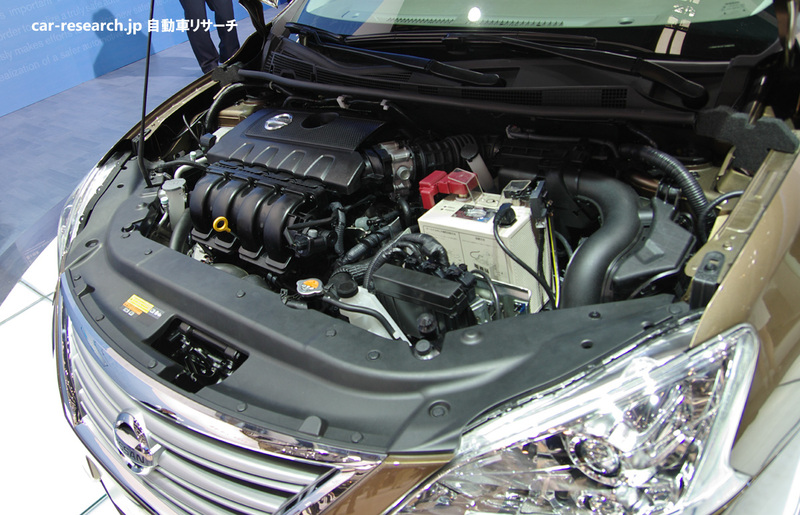 Nissan showed INFINITY EMERG-E in Beijing International Automotive Exhibition. Honda displaied a new color of NSX concept, Toyota announced a new style concept and Nissan proposed the next-generation sport EV by Infiniti EMERG-E. This EMERG-E is the same vehicle as what was already exhibited in Geneva auto show in March, 2012. EMERG-E has been developed to target the release of 2015. Infinity EMERG-E are equipped with series hybrid system based on EV. It has two high-output electricity motors of 201ps in the both rear wheels, 1.2L 3-cylinder engine for power generation only and Lithium-ion battery. Since it is series hybrid system, the distance which can be flown is extensible by gasoline supply. Although EV has long charge time and an infrastructure problem of a recharging point, there is nothing to EMERG-E.
EMERG-E is a Range-extended EV with a generator. It is believed that potential vehicle based on the EMERG-E will be released is high. Actual running prototype model that can be has been already produced two, running test has been carried out. Target of the release time is around 2015. It is expected that EMERG-E has an advanced stability control system by separate motors. 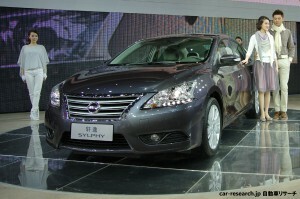 New Sentra will be a vehicle in common with new Sylphy in Beijin auto show. Nissan new Sylphy is new Sentra. 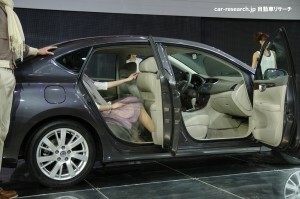 New Sylphy has been world premiere in Beijin International Automotive Exhibition 2012. The vehicle will be new Sentra in the North America. New Sylphy will be sold all over the world. First of all, it will produce at the Huadu factory of Dongfeng Nissan Motor Company Limited, and sale will be started in China in mid-2012. Then, it is put on the market by 120 nations in the world until 2014. New sentra has a good interior. 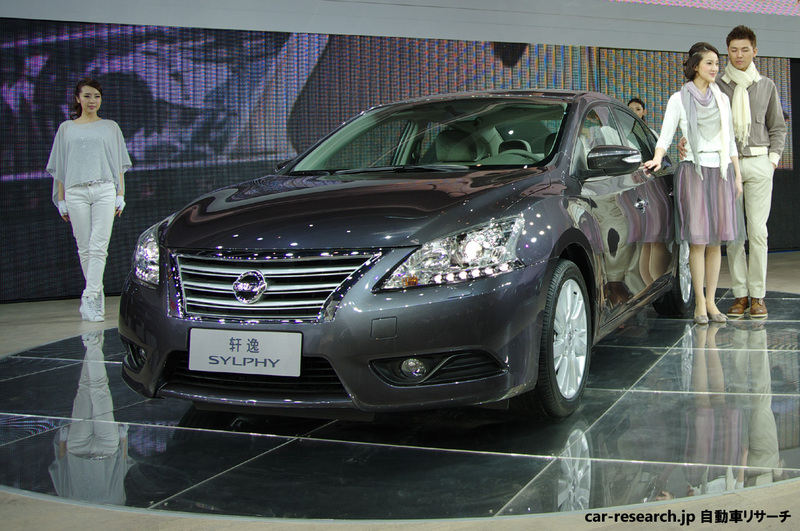 A 1.8L engine and an XTRONIC CVT are installed in new Sylphy of the China specification. There is much sedan demand in the Chinese market. Sunny smaller than Sylphy also exists. 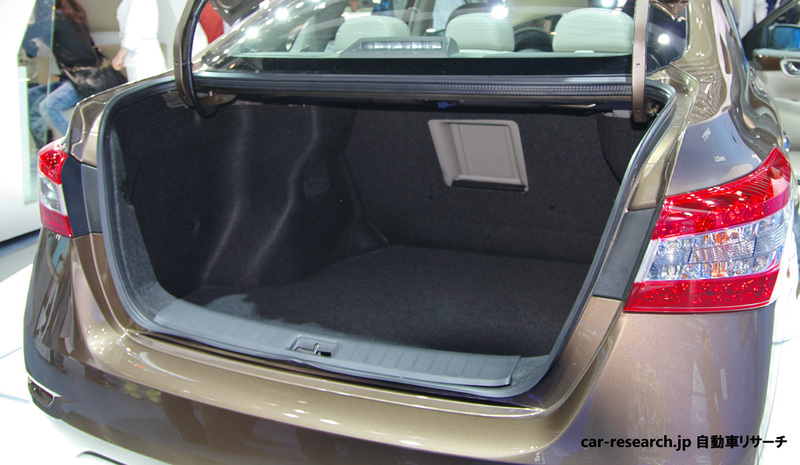 The trunk room of new Sentra has the biggest capacity in the segment. A center trunk through mechanism is equipped. 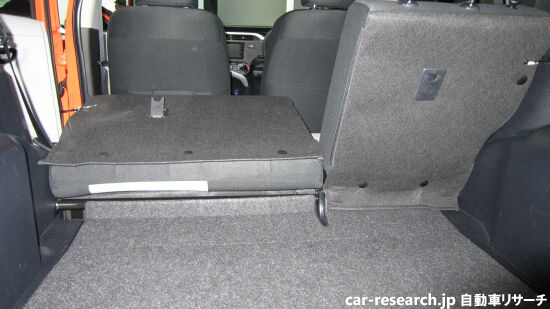 However, it doesn’t have a folding rear seat. 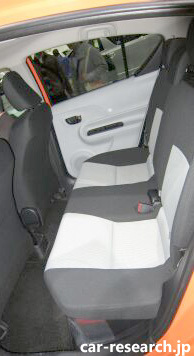 A rear seat leg space is large. 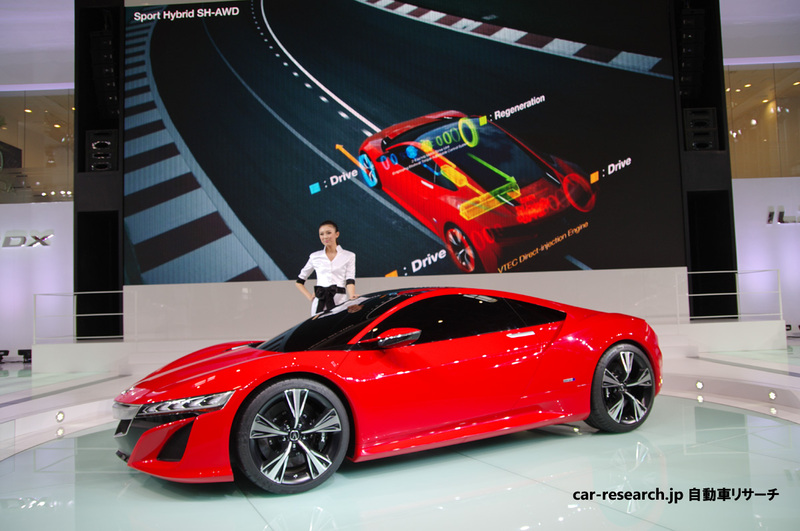 A red NSX concept is displayed at the Beijing International Automotive Exhibition. Honda is developing the new model NSX. Honda is developing the new model NSX. 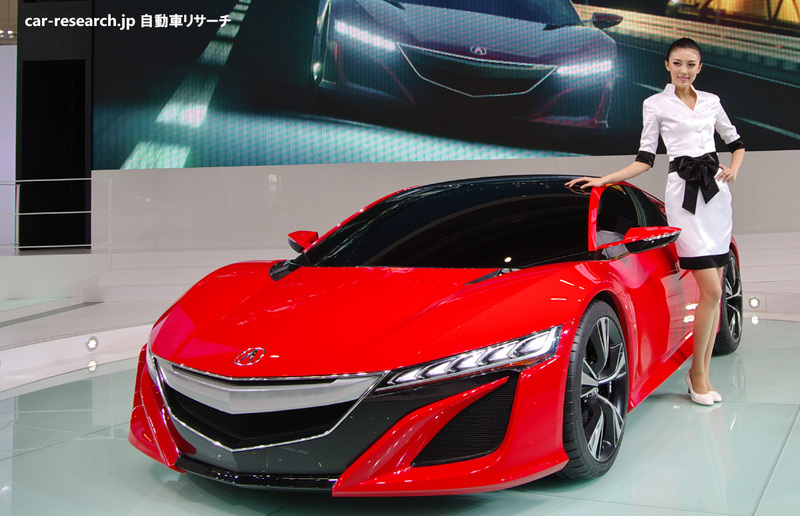 It will be released in 2015.Honda has so far exhibited the NSX concept at North American International Auto Show and Geneva Motor Show. It is the Beijing Auto Show and was able to catch the sight again this time. The crimson body was impressive this time. 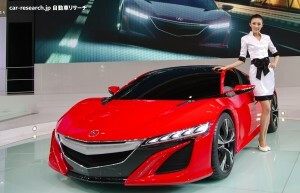 A photograph is the NSX concept exhibited at the Beijing auto show. 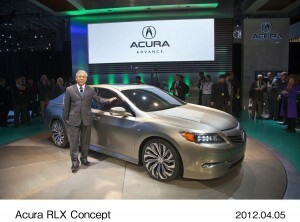 In North America and China markets,it will be sold by the Acura brand. The outline of the next term NSX. A hybrid system is installed in the next term NSX. Though it is a premium sports car, fuel consumption performance is excellent. JC08 mode fuel consumption is developed with the target of about 15 km/L. 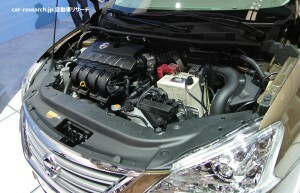 At present, a V6 3.5L hybrid engine is due to be installed. It is surmised that a total output is set to about 380 ps at the maximum. Moreover, if it is sale in 2015, a plug-in hybrid system must be common. If a big lithium-ion battery is installed in NSX, practical use fuel consumption’s will improve further. The drive system is SH-AWD,and the engine-loading position is a midship system. The vehicles price is predicted to be about 10 million yen. It is cheaper than Nissan GT-R or Lexus LFA. 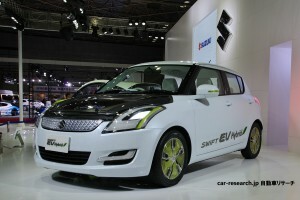 SWIFT EV hybrid will put on the market in March, 2013. The range-extender system is adopted as SWIFT EV hybrid. At Tokyo Motor Show in 2011, EV hybrid which used SWIFT as the base was exhibited by Suzuki Booth. This model will be marketed. The gasoline engine only for power generation is installed in this SWIFT EV hybrid. It runs only with the torque from the electric motor. The sale time will be around March, 2013 next year. The battery for a drive is stored in the luggage area floor. The SWIFT EV hybrid is good at a long distance running. The power unit of the SWIFT EV hybrid is only an electric motor. 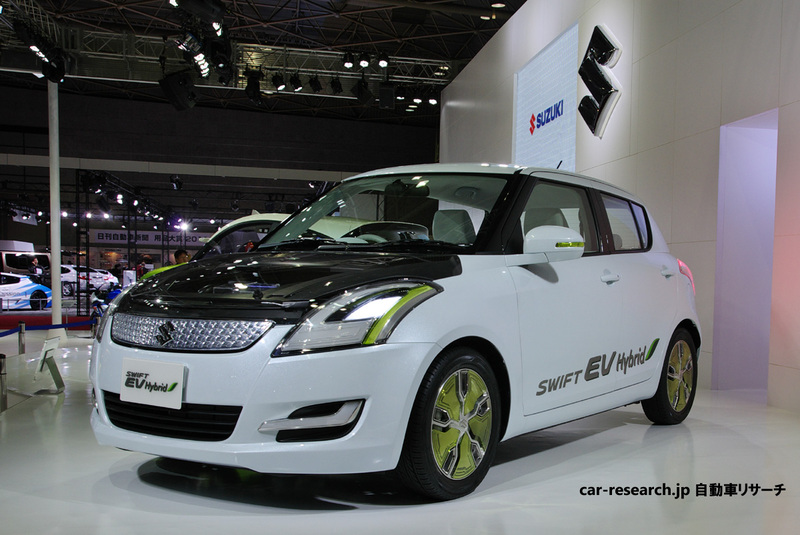 The output is 55 kW (75ps), and may be the shortage of Power as compared with 91ps of present SWIFT 1.2L. However, since the electric motor can generate the maximum output from a low rotation state, there are few worries about output performance. The charge time is 4 hours with 100V power supply. Moreover, in the case of 200V power supply for exclusive use, they are 1 hour and a half. In the case of a full charge state, the distance which can be run is 30 km without an power generation drive. However, since the range-extender system is installed, if the engine for power generation is made to drive, running exceeding it is possible. It is not necessary to care about battery residual quantity by long-distance drive. The usual gasoline supply may be needed. The fuel consumption at the time of running generating electricity is 28 km/L in the JC08 mode. It is excellent. 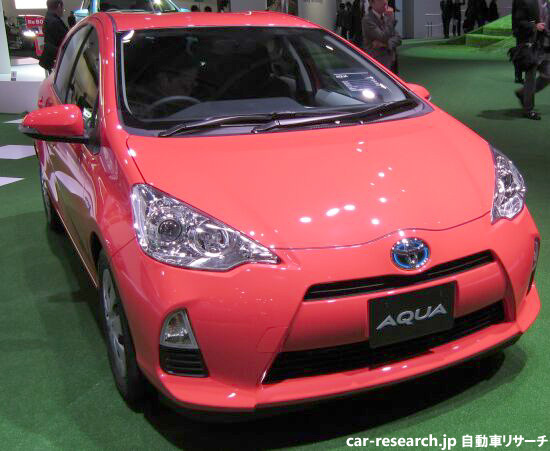 It is not wonderful fuel consumption performance like the compact hybrid car of Toyota AQUA. However, in the case of the SWIFT EV hybrid, if electric power can be supplied from an external charge equipment , practical use fuel consumption will be extended. 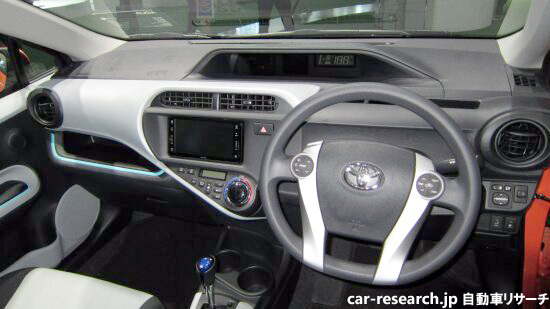 The range-extender of the SWIFT EV hybrid has a system simpler than THS-II hybrid system of Toyota. Therefore, it is expected that a price will become cheap. 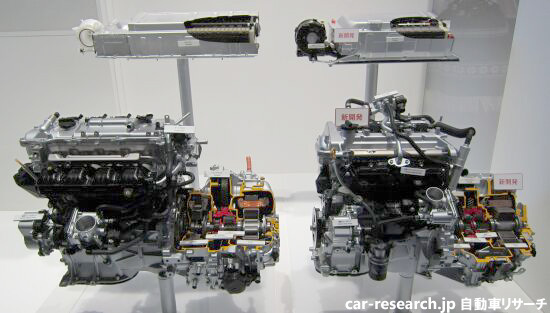 In Tokyo Motor Show, the 658cc engine for Japanese K-car was installed as an object for power generation. Now, this is replaced with a 450-cc engine and development is advancing. Power generation efficiency should improve further. The minor change of LEGACY.The turbo version engine of 86 and BRZ is installed. The minor change of LEGACY is carried out. LEGACY after a minor change was exhibited in New York International Auto Show the other day. LEGACY of the new exterior to which change was added centering on the front grille was able to be checked. The lineup of the grade which carries the new style 2.0L boxer turboengine DIT will be carried out to this new style LEGACY. FA20 type turbo is carried in LEGACY. 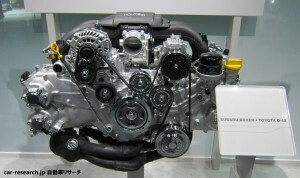 DIT engine is carried in new style LEGACY after a minor change. This DIT engine equips with a twin scroll turbo the direct injection boxer engine of the FA type 2.0L carried in 86&BRZ. The specifications of that are horsepower output 300ps and maximum torque 40.8kgm. It achieves a performance rise steeper than the old 2.5L turbo. It was assumed that this turboengine of the FA type 2.0L was delayed for the 1.6L turbo in sale. However, it will be carried from new style LEGACY and it was rash in the debut. 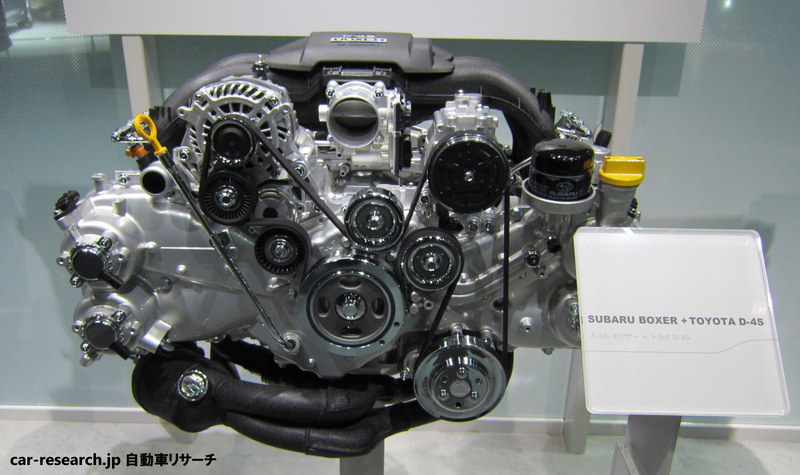 A photograph is the 2.0L direct injection horizontally opposed engine in which Subaru and Toyota collaborated. This is installed in 86 and BRZ. This is equipped with a twin scroll turbo and it installs in new LEGACY. Regrettably, DIT model in which eyesight was installed is not sold to the minor change on May 8. The additional lineup of the eyesight model will be carried out in the autumn of 2012. The eyesight of the following version is installed in it. Old EJ type is abolished about 2.5L engine. And FB type is adopted newly. It is equipped with idling stop. About transmission, Linear-tronic CVT is improved and the eight speed shift can be enjoyed in S# mode. V37 INFINITI G with hybrid engine will be released in 2013. 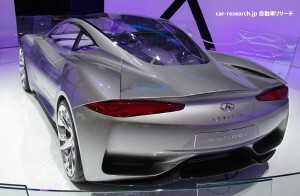 The model change of INFINITI G will be in 2013. Current V36 INFINITI G has been sold from 2006. In 2013, it will be given full model change innovation. New V37 INFINITI G will have a Hybrid Engine. The system consists of a V6 3.5L, motors and Lithium-ion battery. The horsepower output is 360ps. The following picture is CV36 SKYLINE COUPE. 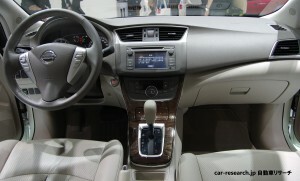 Next INFINITI G has the same Hybrid System as INFINITI M.
The same system as FUGA Hybrid is installed in INFINITI G Hybrid. But about weight of vehicle, INFINITI G Hybrid is lighter. When a current model with the same engine compares, the INFINITI G is lighter 120 kg. On the other hand, also NA V6 3.0L direct-injection engine is installed in new INFINITI G. The horsepower output will be about 300 ps. 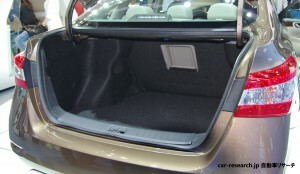 The platform of V37 INFINITI G is the carry-over from current V36. 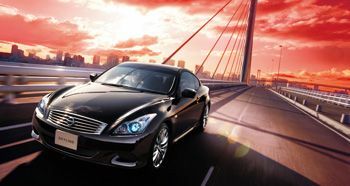 The release time of new INFINITI G is around May, 2013. Also full model change of CV37 COUPE is planned in summer 2013. New CV37 Coupe has a V6 3.5L Hybrid too. 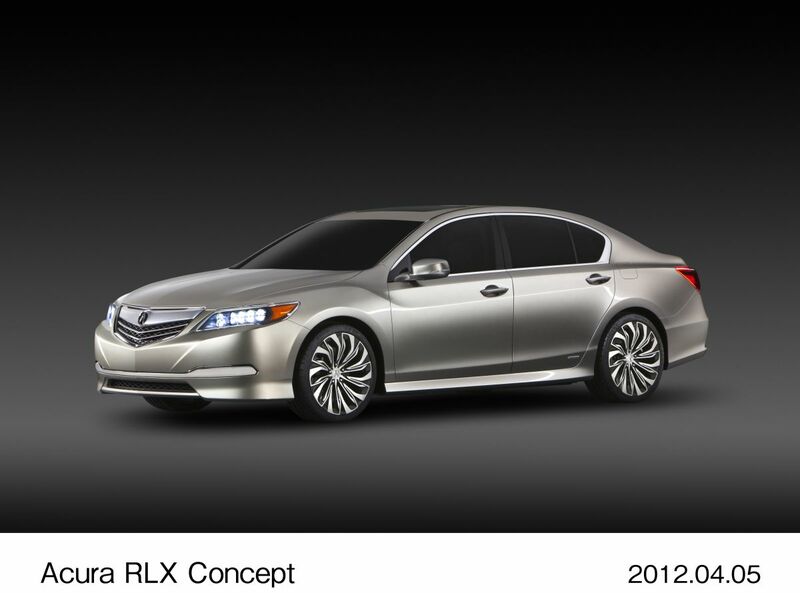 Honda has announced the Aqura RLX Concept. New Aqura RL is a sale schedule in 2013. 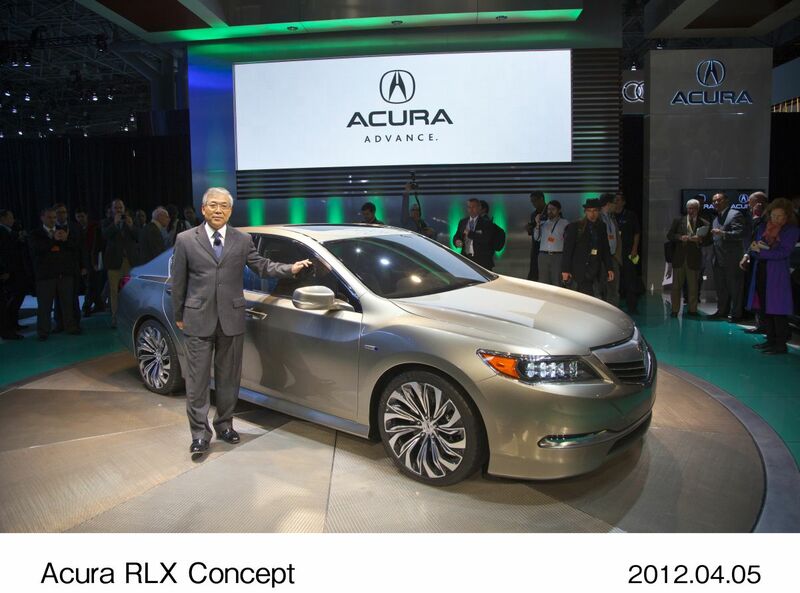 Honda made RLX Concept the world premiere in New York International Auto Show 2012.The RLX Concept will be released as New Acura RL in the North American market. The SH-AWD of Aqura RL will evolve further. The lineup of new Aqura RL will have a FF model and an AWD model. 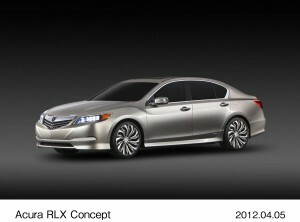 Honda has announced the release time of new Aqura RL is early 2013. However, only FF model may be put on the market at this time. The FF model will have newly developed V6 3.5L engine. It is downsizing compared with the current 3.7L engine. However, a new engine is equipped with a direct injection system, a new VTEC, and also a cylinder pause system VCM. It is not only excellent in fuel consumption, but a horsepower output exceeds 309ps of current engine. The AWD model is waited eagerly more than FF model of precedence sale. The SH-AWD will be evolved more. It has the electric motors independent to both the right and left of the rear wheel. Therefore, it can perform rear wheel control more delicate than an old SH-AWD system. Besides these, the main part of V6 engine of a front is also equipped with an electric motor. Honda has announced that the horsepower output of the system which consists of a V6 3.5L engine, a front motor and two rear motors exceeds 370ps. That is, next Aqura RL AWD has a hybrid engine. A lithium ion battery is installed in it as a battery for motors drive. The release time of the AWD model of next Aqura RL will be about one year after FF model sale. It is around the early 2014 from the later 2013. Honda price-cuts significantly about STREAM. Line-up will be only RSZ. STREAM will be minor changes. Grade configuration that will be reduced. Honda’s STREAM, be minor changes. STREAM of the current model, have a wide range of grade line-up (X, Gi, ZS, RSZ, TS, RST). However, after minor changes, leaving the RSZ, all others will be abolished. 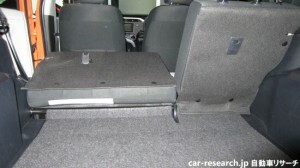 In addition, passengers are changed from 7 seater to 6 seater. STREAM the price of a new, 1.8L engine for the model, is 1,990,000 yen for FF, is 2,240,000 yen for 4WD. About 2.0L engine model, 2,200,000 yen for FF, 2,450,000 yen for 4WD. It comes to price down of about 100,000 yen compared with the current model RSZ grade. STREAM number of sales are depressed. 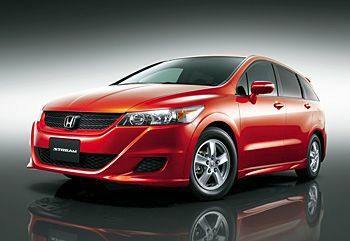 Honda is to clean up the line-up, and then to drastically reduce, to keep the sale of end-stage model. STREAM made a minor change will be released April 5, 2012. STREAM it to be a full model change is difficult. STREAM of the current model, in 2006, six years have elapsed as the second generation, from the debut in Japan. Since it is now 2012, is the right time to do a full model change soon. However, it is not achieved. In Japan, demand minivan is a high level. However, low overall height low roof minivan, such as STREAM, because the interior is not much wide, few users will buy.Step WGN has been buying large indoor well.Freed, even though the body is small, the interior is wide. It has been buying more. Freed, despite become the fourth year since its release, is more popular vehicles in excess of 10,000 units per month. On the other hand, STREAM, despite significant price reductions to do with this minor change, the sales target is 1,000 units per month. 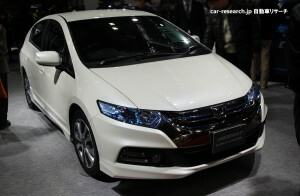 By Honda, a full model change of the STREAM, to compete with rival Toyota Wish is difficult. Toyota may have to release the 86 sedan. Good order is 86. Might be to achieve the release of 86’s sedan. Cooperation of Toyota & Subaru, line-off ceremony of the 86 / BRZ has been made the other day. We had been long awaited from the time of the merger of Toyota and Subaru, the production of FR sports car equipped with a horizontally opposed engine has begun. According to the announcement of Toyota, reservation orders of 86 is the initial 7,000 in one month. Due to this number, the possibility of 86-based sedan to be released has increased. However, in order to confirm the realization of 86 sedan, it is good to continue for some time now on orders of 86 is a prerequisite. 86 sedan, the basic structure of the main part and platform 86, engine, transmission, and suspension is almost common. 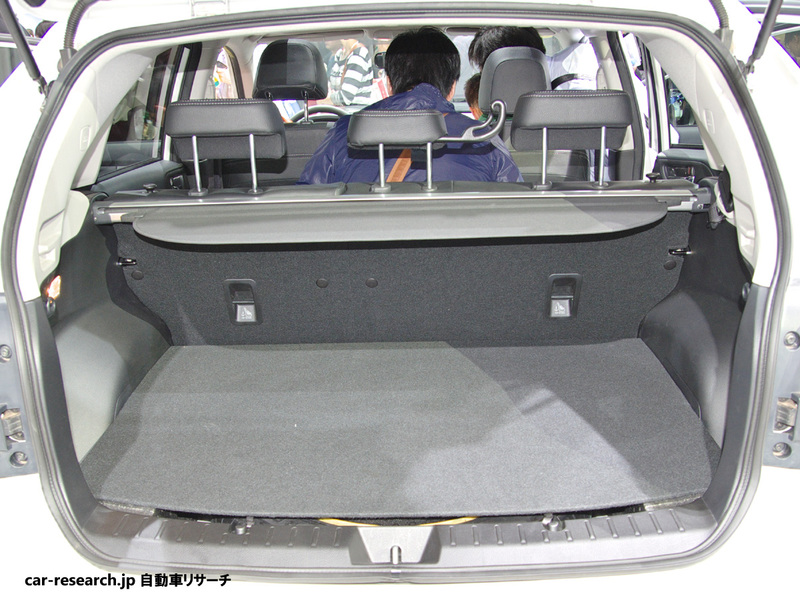 Body length and wheelbase is extended for the rear seat space. The release date of the 86 sedan, there are many prediction that 2015 will be around three years after the debut of 86. 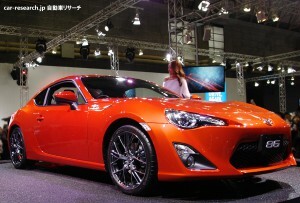 86 sedan, as the successor of Mark X.
Toyota’s FR sedan,Mark X plans to become FF in the next model. There are users who have bought the X mark on the grounds that FR. As models for their choose, 86 sedan is required. Subaru has a sporty sedan line-up such as the IMPREZA and LEGACY. 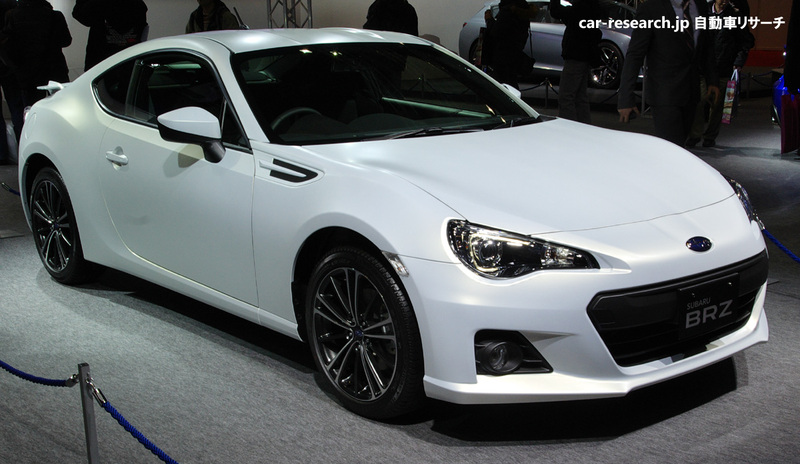 These reasons, Subaru has no plans to release the BRZ sedan. 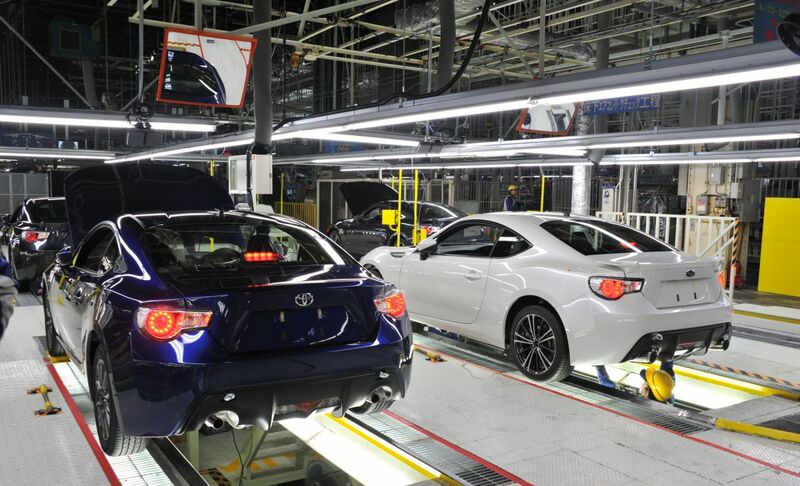 The mass production of SUBARU BRZ and TOYOTA 86 began. SUBARU starts production of BRZ and 86. 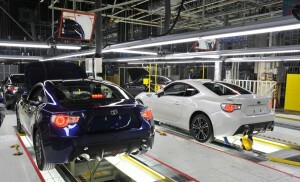 Subaru began production of Subaru BRZ and Toyota 86 from March 16, 2012 today. 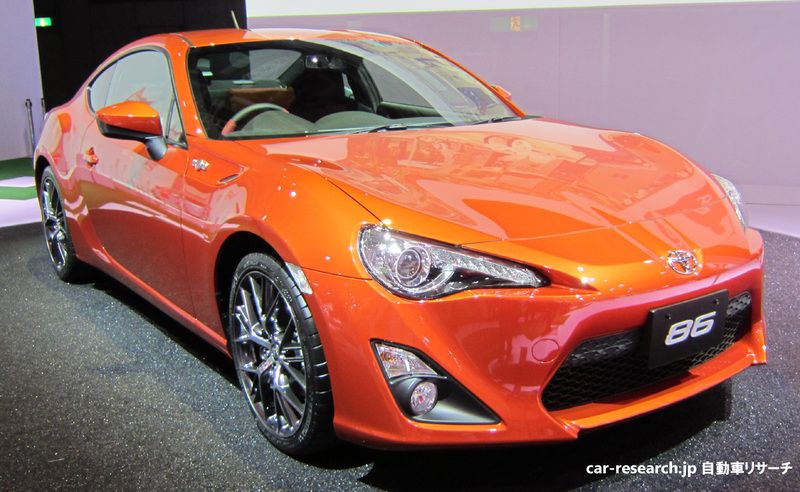 BRZ and 86 are the new style FR sports cars of horizontally-opposed-engine loading. 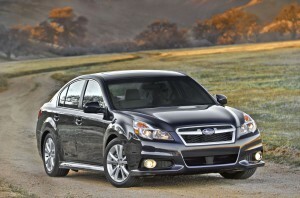 They fused the horizontally-opposed-engine technology of Subaru, and the direct injection technology of Toyota. The Fuji Heavy Industries (SUBARU) Gumma main factory takes charge of these production. Toyota Motor President Akio Toyoda also participated in the factory, and the line-off ceremony was held today. They were planning the new style sports car of horizontally-opposed-engine loading after the business tie-up of Toyota and Subaru in October, 2005. This was realized at last. Already accepted reservations BRZ and 86 has been started. Currently, the delivery is made around July. Should we buy one of the BRZ and 86. 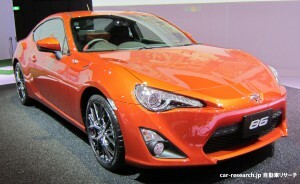 86 and BRZ are the brother models whose fundamental specification is almost the same. However, the design of a front grille, an interior color, and a suspension arrangement have a slight difference. It is easy to carry out the drift of the 86, and it has become the arrangement for the young men who can play as it is in a circuit. The emblem of 86 under A peeler is also felt as the design for young men. On the other hand, BRZ is an arrangement called a gentleman’s FR sport by stability serious consideration. An initial order received has the strong popularity of 86. However, a possibility that BRZ will become popularity from now on is high. Mazda is developing CX-3 of compact SUV following CX-5. Mazda will have CX-3 and CX-5 as two compact SUVs. 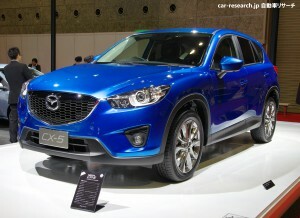 Mazda has released CX-5 of new style SUV of 2.0L in February, 2012. A photograph is new CX-5. 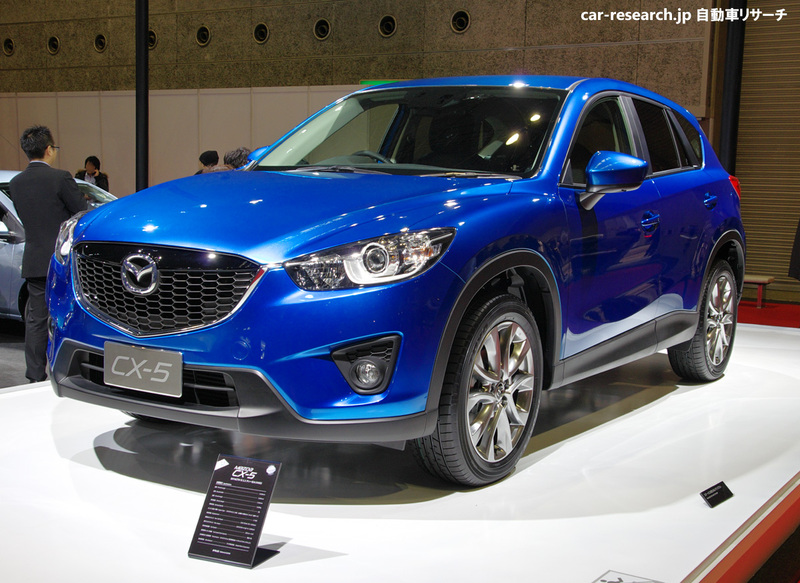 CX-5 with diesel engine is a value price of 2,580,000 yen. The new style clean diesel engine of Mazda named SKYACTIV D is popular. The talk of a Mazda executive showed the development of CX-3 smaller than CX-5.A possibility that CX-3 will be put on the market is very high. The platform of CX-3 is as common as new Mazda2. Next Mazda2 will be released in 2014. The platform of CX-3 will be as common as next Mazda2. The main target of CX-3 is developing countries which are East Europe, South America, and India. The SUV lineup of Mazda will be four vehicle types which are CX-5, CX-7,CX-9, and CX-3. The rival vehicles of CX-3 are Nissan Juke, Ford Ecosport and Opel Mokka. 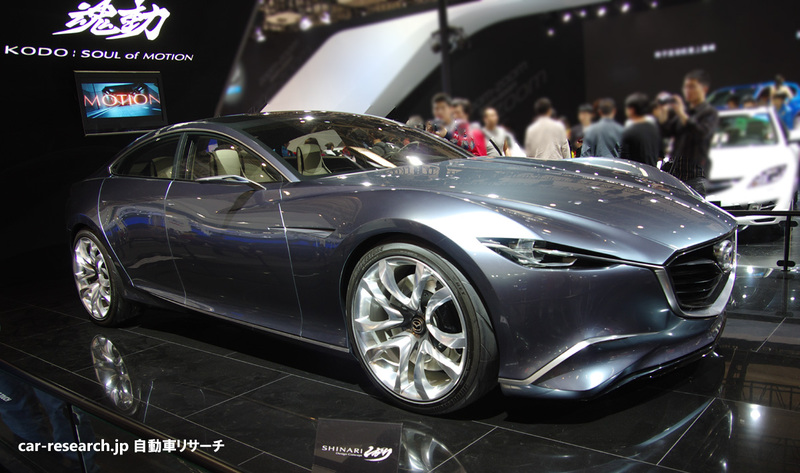 The car’s name of CX-3 is anticipation from the naming style of Mazda, and may be named CX-2 or CX-4. Prius C / Toyota has exhibited the new Hybrid Car in Tokyo Motor Show 2011. New Prius C will be released in January, 2012. New Prius C has been exhibited in Tokyo Motor Show. In Japan, it is named Aqua and The official announcement will be on December 26. Sale of it will begin from January, 2012. Prius C in Tokyo Motor Show. Prius C has been exhibited in the Toyota booth of Tokyo Motor Show. Prius C exhibited is in the state near an entire car. Overall height of Prius C is low and it has carried the battery for a drive. 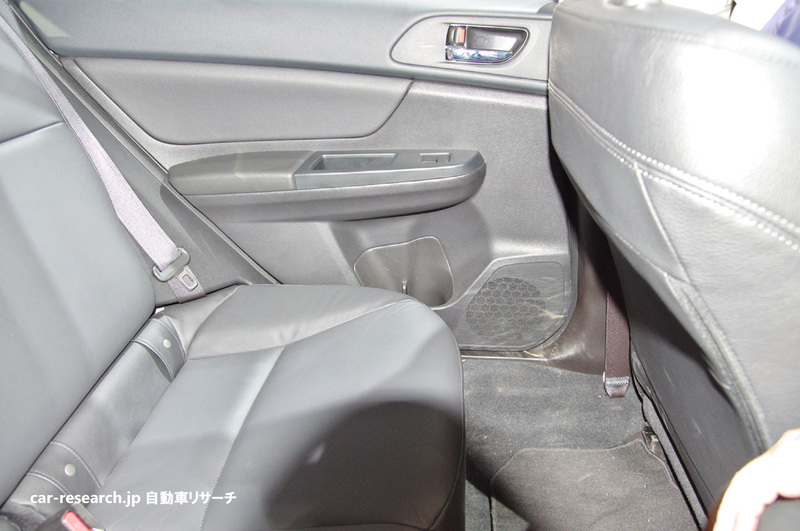 Therefore, it was worried that a rear seat may not be comfortable. Surely as latest B segment car, it is felt narrow. The interior quality is suitable for a price. However, it was thought that sheet length was long and comfortableness was better than Yaris. The exterior is sportier than Yaris and Fit. The front mask of Prius C was not so reputable. Is the hybrid system of Prius C the same as 2nd generation Prius? Prius C has installed the hybrid engine of 2nd generation Prius. Therefore, it succeeded in the cost cut. The hybrid system became small by KAIZEN. The left side of a photograph is the battery and hybrid engine of the 2nd generation Prius. The right side of a photograph is ones of Prius C newly developed.